Now it is up to readers to agree or disagree with this claim/research of columnists. Please click on the 2nd article to enlarge it little bit. By default the font is very small. Nice articles. But let all of us know that before desiring anything one must deserve. Muslims must follow the life our beloved prophet Muhammad Mustafa ( Peace be Upon Him ) and his worthy companions whose character dominated their preachings. So history of such claims is old. More info is needed before accepting/rejecting it. I remember reading an article on the front page of the Wall Street Journal in the early '90's about the issue of the Pathans being one of the lost tribes of Israel (Israel being another name of Yaqub (AS), and the 12 tribes descended from his 12 sons). In the article it mentioned the names of Jewish organizations which had done the research and approached Pathan leaders (I don't know specifically who was approached)to rejoin the Jews, but they were rejected. If anyone want to research this on their own, by going to the archives of the Wall Street Journal. Qais Abdur Rashid (also known as Imraul Qais Khan)- he was a legendary ancestor of the Pashtuns, who traveled from Zhob, present day Baluchistan, Pakistan to Arabia to meet Muhammad and there embraced Islam, before returning to his people and introducing them to the faith. Also, Jamal-ud-din Afghani also mentioned in his book on Afghans same Sahabi (R.A) as Jewish. - Khurasaani people have separated in different areas in last 1400 years. - Mughals are not only from Chengez Khan or Mongols. They are also from Central Asian Turks i.e Khurasaan. - Imam Mahdi will be also from Bani-e-Israel. He will have blood from both Bani Ismael and Bani Israel. eyedee, i stand corrected but all the famous names you have mentioned are of recent times. is it not the case that these notable people achieved what they achieved when they continued the rsearch that muslims had started? also, they contunied the work when it was downtime (zawaal) for muslims (be they arabs or afghans or persians). Dear aali, Scientists are only instruments for all technological advancement. Believe and faith in God open the mind of a human to think more. Atheism, materialism and bigotry close the mind. How can today Muslims can do inventions if some of us are destroying schools and making fatwa of death against students of co-education institutes?? I am not supporting co-education. I am criticizing destroying schools of girls and schools having co-education. You didn't read my full message. I said faith and belief opens our mind. Bigotry closes it. Sorry I m unable to understand that how faith and belief opens your mind....it actually, closes your mind. B/c faith put limits on you that u r not allowed to think on that and that. U can't think on things which may go against the big titles of your faith. U r forced to accept the faith and believe at the childhood. Why not after being adult....???? Because in that age (adult) u will think better. 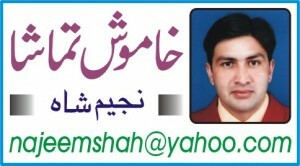 @Fayyaz.... Atheists only thing about material but believers thing beyond material which opens their mind. Faith never put limit but guide us to thing about spirituality and non material like life before birth, life after death, hereafter, paradise, hell, angels, jinns (aliens) etc. In atheism it is not allowed to think about them. .... How you concluded we are forced to accept the faith. It was our free choice and I rejected many traditional things which is part of part of culture but not Islam. In adult age I accept many things which is new for me and I changed my views. It was because Islam gives us full freedom of thinking and expression. During adult age I reached near more to Islam and faith than my childhood. Dear Anonymous, It makes no difference at all. I just posted first two articles but when Eyedee showed some concern over a statement, I added another reference. Just shared the information which was in my knowledge. That's All. It does not matter if someone is from the family of Prophets or not, what matters is that if they follow the way of Prophets or support the opponents of Prophets! After all Kun'an was the son of Hazrat Nuh AS, and what fate awaited him. Peace be upon whoever follows the guidance from Allah and his Apostle. Ameen sum Ameen...may that be our Pakhtoons, our Sindhis, our Balochs, our Punjabis, our Kashmiris, our Muhajirs our Arabs our Turks our Africans or whoever of any race, culture or country following: "La Iilaha IllAllah Muhammad ur RasulAllah”…. It makes difference only for research and analyse future events of end time predicted in Hadiths. Ethnic races like Khurasani, Yemeni, Qatheani, Sufyani, Sayedi, Romans, Hind, Sindh etc are mentioned in Hadiths to help us to identify right events. Above article is only a try to identify Khurasani people who will help Imam Mahdi, Insha'Allah. hmm, how could it not matter if one was from the Prophet (PBUH) family when it was made forbidden to pay zakaat to them. yes in general terms, tribes/familes/lineages are our pehchaan etc., but when it comes to the our Prophet's family, the generalisation fails. "Pakhtuns of Afghanistan/Pakistan are lost tribes of Bani Israel"
I totaly agree with brother@",Allah gave us BIRTH where He wanted us to be born,,,,,we need to follow our RASOOL ALLAH SALAHU ALAIH WASALAM s teachings in these matters rather Heightening some ethnic race..."
Brother regarding the statement "Pakhtuns of Afghanistan are lost tribe of Israel" please read the article in the link below, although i can't verify the authenticity of the information given in this article but i recommend to read it for information. @"Think of Jews like Alferd Nobel, Madame Currie, Louis Pasture,Karl Marx, Einstein.Wolfgang Mozart, Rothschild, Van Braun and Freud." You know brother the majority of people in the above names were Freemason. I agree that major political and technological changes in the face of earth occur due to jews or freemason like the system of capitalism, socialism, communism, Marxism, and democracy but these systems serve the agenda of Jews it does not give any benefit to common man. And regarding the achievements of muslims in current age, you can see in the face of Mullah Muhammad Umar of khurasan and his people who survive and defeated the combine technology, wealth, and power of more than 40 advance countries of the world through their "Eman and belief in Allah SWT"
Pathans possess about 50% Aryan blood,as depicted by their DNA.They are closer to Aryan Rajputs and Iranians than any other people.As posted by Barq sahib Israeli ancestry is a myth.Jews never forsake their religion ,however Pathan tribes were Kafirs when Arabs came into contact with them. Are you ok? Unbelievable.. We don't believe in british or english drama of DNA,,,,read Quran because it full of hints about Children of Prophet Yaqoub (Israel) or Pathans.... Please don't do that again... Would like to introduce yourself???? false!pathans have no relation to rajputs.genetically they are closest to israeli tribes.they even have same diseases. Nazar Jinna di keemia sona karde watt. ALLAH Zaat kareendaai kiya Syed tey kiya Jutt. aapki yeh baat bilkul samajh nahai aayi ke middle east se lashkar hindustaan paksitan fatah karen aayega aapne woh hadees Mubarak nahi parhi ke jisme zikar hai ke "Imam Mehdi a.s ki madad ke liye yah se yaani khorasaan se kaale jhande le kar musalman foje chalengi aur unka rasta koi nahi rok sake ga yah tak ke woh kaale jhande baitul muqaddas me nasab kiye jaayenge." to bhai aihl e nazar aur ahadees ki roshni aur zameeni haqaaiq se saaf zaahir hota hai ke awwal ghuzwa hind hoga jisko lead woh Sippa Salaar karega jisne IMAM MEHDI A.S ke duniya waalo par zahoor hone se pehle ana hai . us Ghuwa Hind ke baad jo ke hindsutaan ke khilaaf lari jaayegi jisme aik taraf hindustaan aur american nato foaje jo ke afghanistan me hai to dusri taraf pakistan iran aur afghanistan ke Mujahideen aur china ki support hogi . jisme afghanistan ke mujahdieen daraye kabul ko kaafiro ke khoon se jaari kardenege aur pakistan hindustaan par charaahi kardega aur tamam ittehaadi american foaj afghanistan me mehsoor hojaayegi unke nikalne ka rasta band ho chuka hoga aur draaye kabul unke khoon se bhar jaayega aur yeh time i think boht qareeb aa chuka hai shayed aik do saal me aajaaye. phir is fatah ke baad yaani ghuzwa hind ke baad yeh chaaro mulk aik hojaayenge . yaani PAKISTAN HINDUSTAAN AFGHANISTAN AND IRAN . jo ke aik super power islamic khilafat ka aghaaz saabit hogi aur phir IMAM MEHDI A.S ka zahoor hoga aur yah se foaje unki madad ke liye rawana hongi aur bilaakhir BAITUL MUQADDAS FATAH HOGA .. yeh sab tajzia me ne Ahadees ki roshni aihl e nazar ki paishan goyi aur zameeni haqaaiq ke mutaabiq kiya gaya hai . Khurasaan sey lashker Imam Mahdi ki maded ko aey gey Sufyani key Khilaf aur baad main Ghazwa-e-Hind main bhi Shareek ho ga.
Ghazwa-e-Hind ki Hadiths is link main majod hai jin main Khurasaan ka ziker nahi hai laekin Khurasani lashker bhi Imam Mahdi a.s. key buhet sey lashkeron main ayek lashker ho ga keunkey Khurasani (Turkic people) seb sey pahley Imam Mahdi ki madad karey gey. Hadith 3 main hind ko fatah kareny waley lasker ka mulk Shaam ki taraf wapsi ka ziker hai jaha ye lashker Hazret Isa a.s. ko paey ga. Hazret Mahdi middle east main Khilafat qayem karey gey aur waha sey mukhtalif lashker bhajey gey jin main Khurasani lasker bhi ho sakta hai. Sab lashker sindh aur hind ko fatah karney key baad wapis apney mulkon main chaley Jaey gey. In lashkeron main her qoom ka fard shamil ho ga, Insha'Allah. Sirf ayek ya do mulk Hindustan ko fatah nahi ker sekey gai. Ghazwa-e-Hind will be fought to resolve Kashmir issue and to stop bloodshed of innocents. lekin bazaair dekha jaaye to middle east me aisi koi islami mumlikat nahi hai jo hindustaan fatah karne ki position me ho . haa albatta pakistan iran china is position me hai . dekhiye Imam Mehdi A.S ka zahoor ho chuka hoga lekin duniya waalo par zaahir nahi honge lekin pas e parda to Ghuzwa hind ke supreme commander wohi honge aur sippa salar zaahir (gharb ka badshah jiska zuikr aksar Auliah karam ne kiya hai) saamne zaahir hoga ho sakta hai woh pak foaj ka hi sippa salaar ho . aur dusri baat jesa ke HAZART NAIMATULLAH WALI RA ki paishan goyi hai us se bhi yehi pata chalta hai ke pak iran china afghanistan ke mujahideen mil kar hidndustaan ko fatah karenge aur arab mumalik ke mujahideen turk mujaahideen isme shareek hone ke liye aayenge yaani IMAM MEHDI A.S hi unhe bhejenge lekin Roohni taqat se. IN SRI BHAGAVAD GEETA LORD SRI KRISHNA SAID THAT I WILL COME AT THE END OF THE KALI YUGA AS KALKI AVATAR OR SEND MESSENGER TO PROTECT PEOPLE OF INDIA IRRESPECTIVE OF THEIR RELIGION and I Know INDIA is Eternal AND when Holy War Take Place "Kuruskhthreya" where ever is True, there will be Lord and where ever is True Win will happens to those people only" . OH KRISHNA IF I'M ON TRUE SIDE THEN GIVE ME PROTECTION and GIVE US A WIN ON ENEMIES OF HUMANITY!!!!!! Aur Hasb-e-Haal ne kis ki baaton ko program mein byan kiya tha? 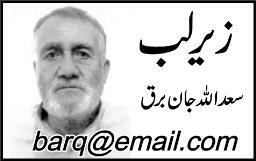 Asal mein ye Orya Maqbool Jaan ke article se makhooz hai but we should give credit to him for picking up this topic. He also raised some new points. Agar kisi qoam k baray may kuch achi baatain hain to os ko b sunain..
Pathano k sms jokes to khoob mazay say forward krtay ho..
har baat ka issue nahin banana chahye agar koi research work kar raha to karne dain. ye to achi baat hai. there is a very old islamic tradition.which has a rawayat which says that khurasaan area is Allahs arsenal.whenever he decides to punish a nation He punishes them via khurasan. 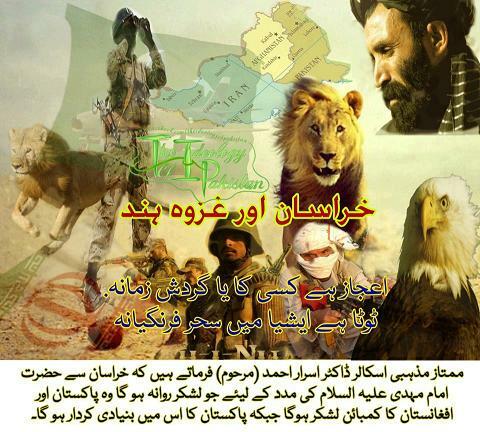 how true is that.salam on brave people of khurasan,who are steadfast against kufar while rest of muslims are asleep. This trailer depicts difficult situation that befalls on a powerful Nuclear submarine crew, when order to destroy and annihilate PAKISTAN through Nuclear strike(preemptive one mind u..!!!) ASTGFIRALLAH.. their plans, intentions are becoming too obvious now.. brothers. MAY ALLAH BE THE OUR GUARDIAN AND SOLE PROTECTOR.. FOR ALL MUSLIM AROUND THE WORLD.. AAMEEN. Brother Baktar e Noor aap ke basharat ka kia howa. Pakistan NATO ke supply line ko dobara khol raha hai ye aik tara ka Afghan musalmano ko qatal karnay ka kill license hai jo Pakistan kafir NATO ko jari kar raha hai. kia aap nahi samajhtay ke Allah iss baray mai hamaray muqtadir logo se koi poch guch karay ga. Islam ke ahkamat to wazih hai, jiss tarah sharaab penay wala,pilanay wala,iss ko tayar karnay wala aur iss ko transportation karnay wala sab gunahgar hai, issi tarah musalmano ko qatal karnay mai madad karnay walay ya musalmano ko rasad puhanchanay walay ya oss ko dosri suhalyat denay walay ke baray mai aap logo ka kia khyal hai. kia yahi Madina e Sani hai? not only our rulers but our awaam also share the sin of aiding the kufar in killing the muslims mujahideen. far from madina e saani the present day pakistan has nothing to with islam even. this is link of that series nuclear submarine "THE LAST RESORT" production start this year from march 2012. These are only high doses of optimism. With every passing day we pakistani nation is rolling deep and deep in the pit of zillat and slavery.Nothing would change unless we come out from zillat and through these puppets leaders and lethargic system of democracy in the sea. Remember " Khuda oss kom ke halat kabhi nahi badalta na ho khyal jiss ko apni halat ke badalnay ka"
O pakistani nation came out from this zillat and let us bury them in the grave of history. we well said GULANM HABIB, i like to know how much time according to your estimation how much time now left for IMAM MAHDI to arrive after conquest of hind. Because i am sure by ALLAH Subhana Wa TA'ALA WILL inshallah u have correctly outline current event transpiring out. pls kindly do answer.. waiting for ur answer.. patiently. Will We able u see meet him.